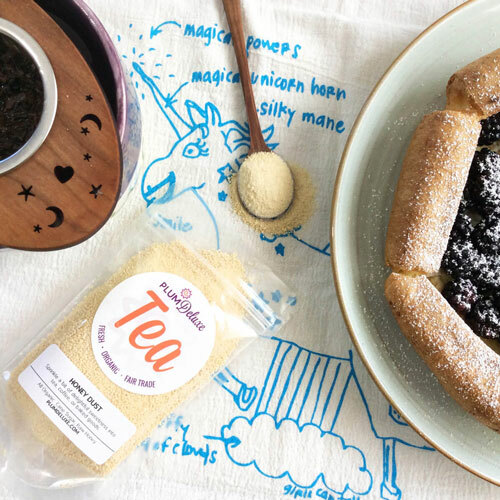 While we here at Plum Deluxe believe that any time is a good time for a tea party, summer really has stolen our hearts. 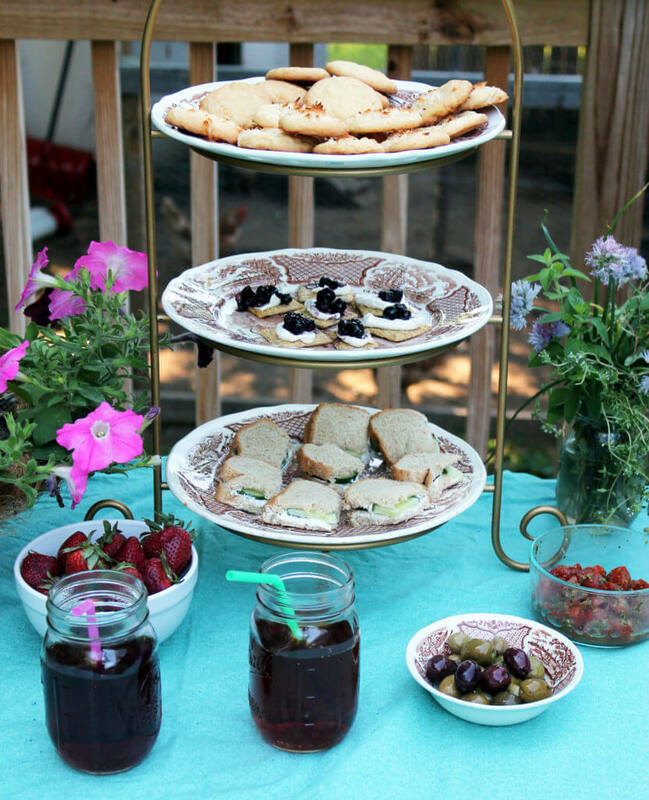 When hosting a summer tea party you have so many options. Hot or cold? Inside or outside? To play games, or not to play games? The options are only as limited as your imagination. While a nice iced tea during the hotter hours is a comfort, a cup of hot tea in the cooler mornings is also a welcome treat. 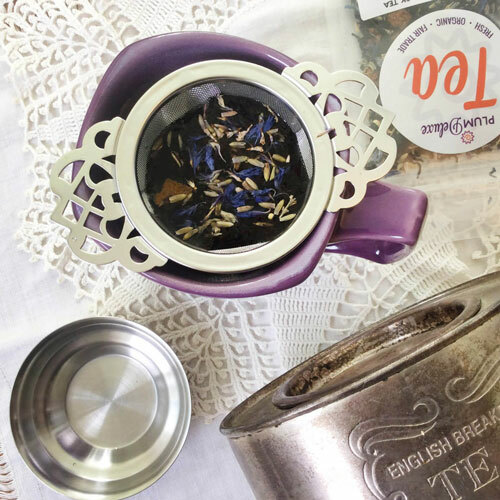 It’s easy enough to plan a more traditional brunch tea like this royal purple tea party. With the cooler temperatures in the morning hours its nice to go outside and set up a pretty table, or lay out a blanket and enjoy the weather. The menu here can be nearly anything since it’s not quite too hot yet to turn on the stove. Since it’s early, why not try setting up a bagel bar and letting your guests serve themselves? As the weather heats up in the afternoons, it can get a little more challenging to create a nice menu that won’t also overheat the house. 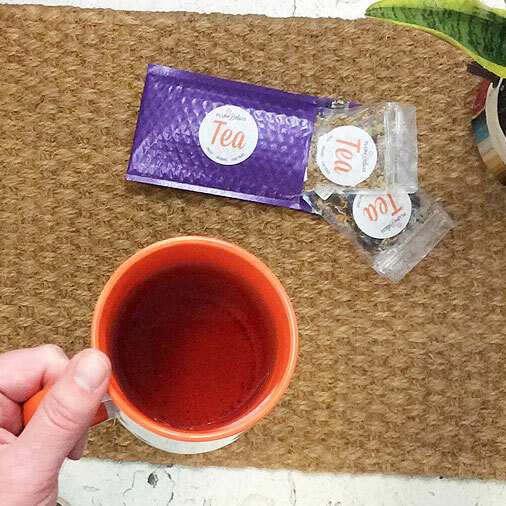 This is a time when it’s good to switch to an iced tea — and maybe even make it a cocktail by pairing tea and liquor. Summer is all about the casual party, after all, and who doesn’t love a sweet hibiscus lime cocktail made with our Happy Hour herbal tea? 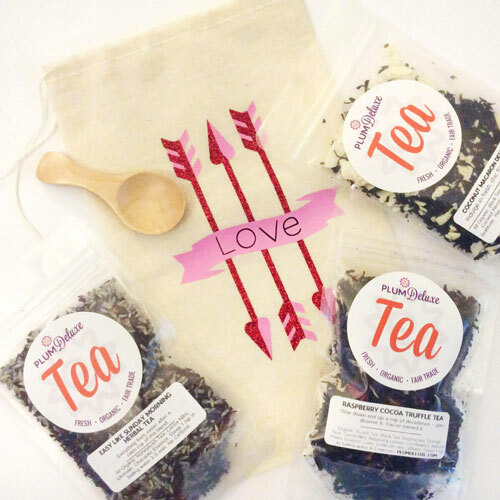 Or make it peachy with our Peaches n’ Cream oolong tea. For the food, try some simple recipes that can be made ahead and chilled, like a pasta salad or summer soup. This is also a great time to pull out those no-bake recipes like marinated olives or a fruity salsa. Another great thing about hosting a summer tea party is the ability to play some outdoor games. Even simple games like croquette or corn hole are always appreciated. Create teams and play a pickup game of soccer or softball. You could also make some of your own games, like nature-inspired bingo or an obstacle course. Use spray paint to build a twister board on the grass. You could even go above and beyond by asking your guests to don bathing suits and include some water games. The thing about summer parties is that they open to door for a laid-back get together. When you are outside it’s ok to get messy or wet, and everyone still has a good time. Adding some fun games will help make your party memorable while keeping your guests entertained. 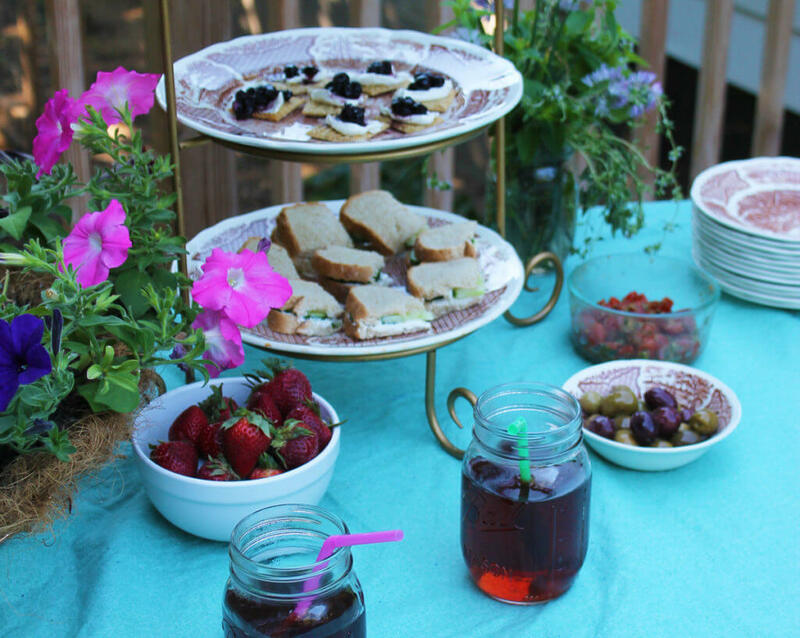 Throw your own outdoor summer tea party soiree and we know that you will fall in love with summer entertaining as much as we have. While we gave you a number of suggestions here, we are always interested to hear about our readers. 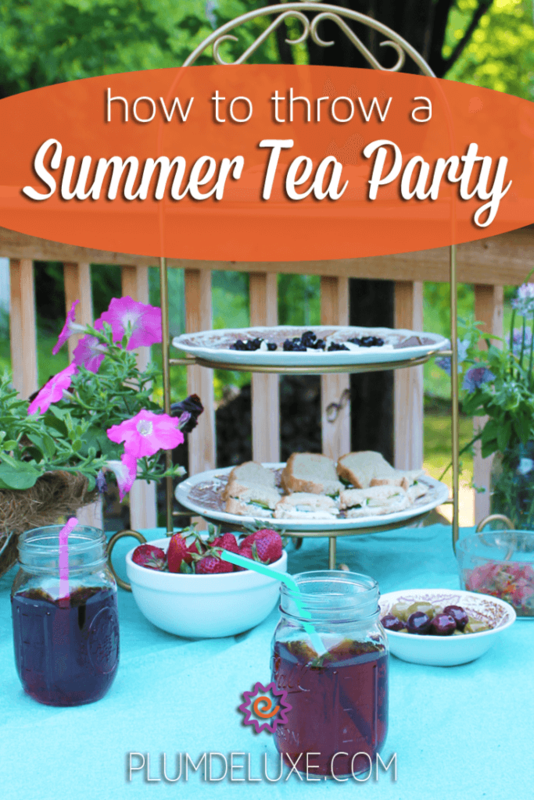 Hop over to our social media spots and tell us some of your favorite summer tea party ideas!